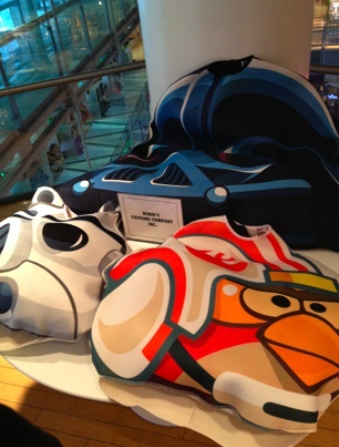 From plush toys to Jenga. 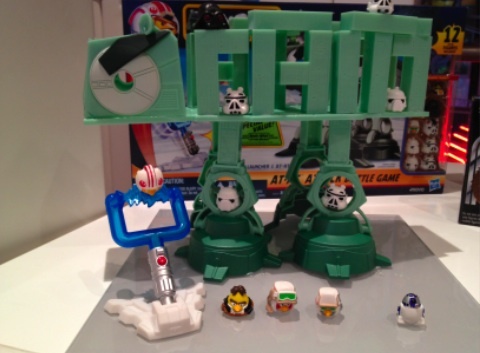 Take a peek at the new toys, which arrive in stores October 28. 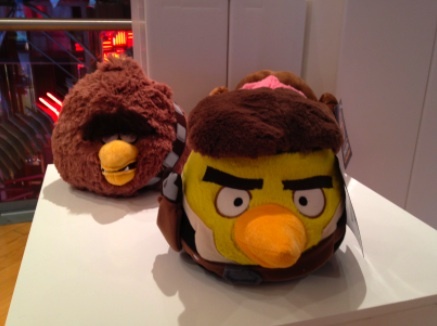 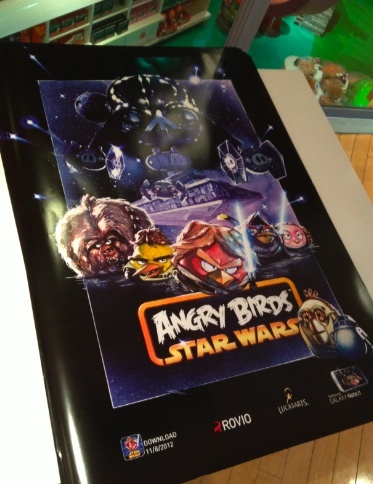 This morning at the Toys R Us in Times Square, New York City, Rovio Entertainment unveiled the official product line for its upcoming iOS and Android game, Angry Birds Star Wars. 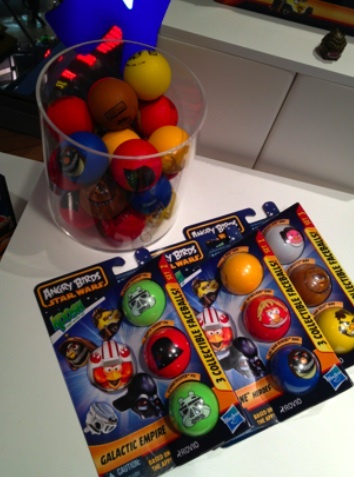 On the Hasbro side, we have Death Star Jenga and a variety of cool looking games for people to enjoy. 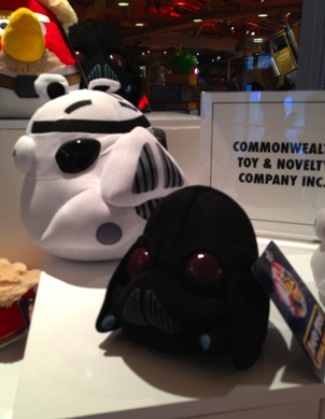 Then there's Commonwealth Toy & Novelty Company with a series of plush toys that blend characters from the video game series with Star Wars. 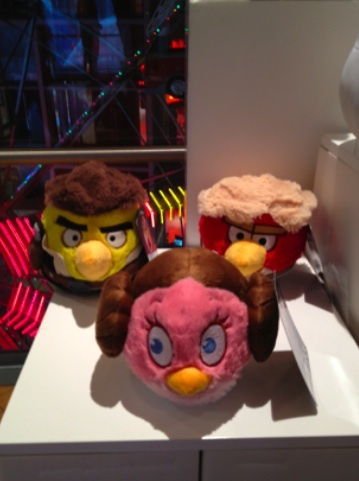 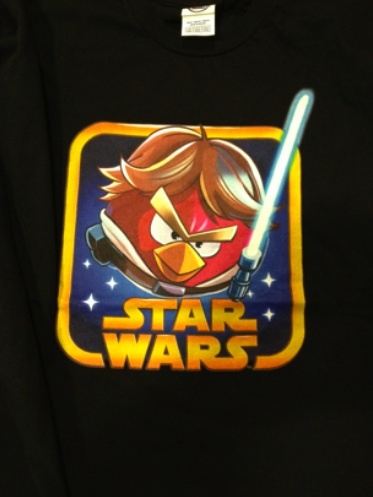 As expected, the red bird takes on the role of Luke Skywalker, while the yellow bird is Han Solo, followed by the pink bird as Princess Leia. 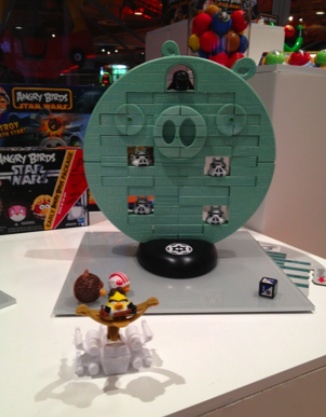 Of course, their arch enemies, the pigs, transform into Darth Vader and Stormtroopers. 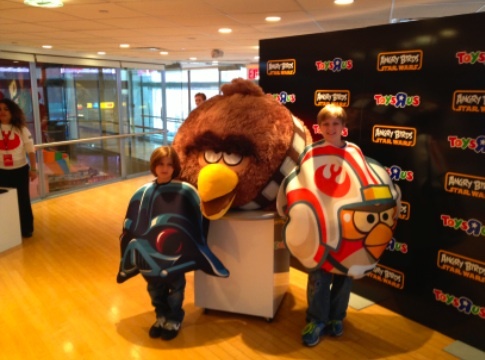 We even spied Halloween costumes. 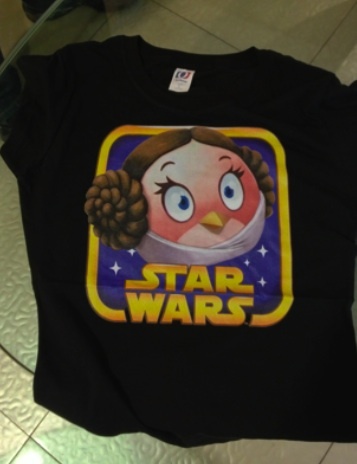 That said, here is a sneak peek at the merchandise. 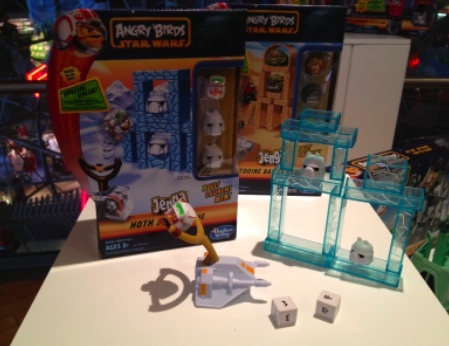 Look for it in stores (Toys R Us, Amazon) October 28.